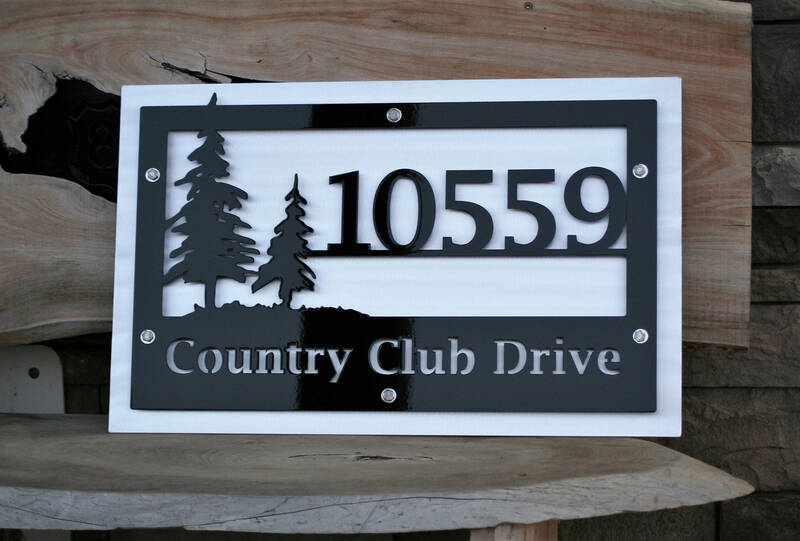 Customized name and address plate is a beautiful addition to your front yard! 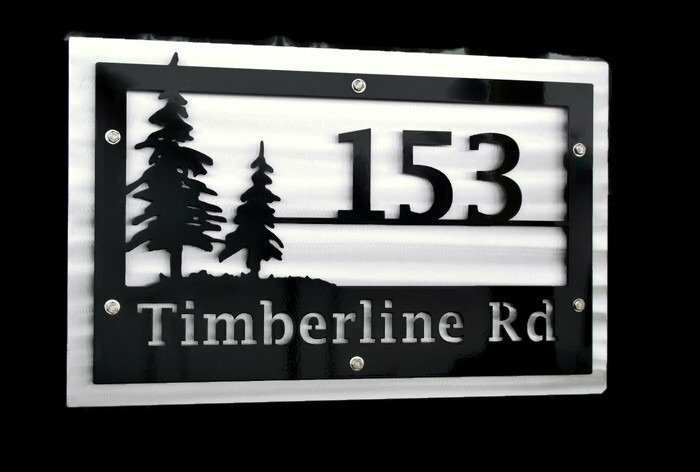 Metal sign reads with your last name and street address. 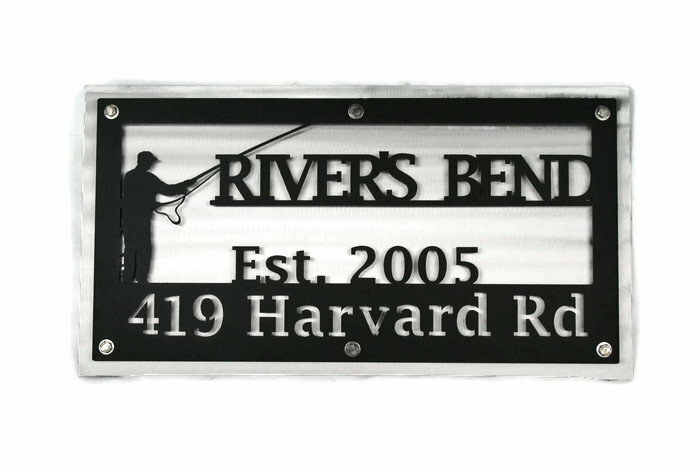 Custom address sign is coated glossy or matte black or matte rusty brown powder coat to complement any style home. 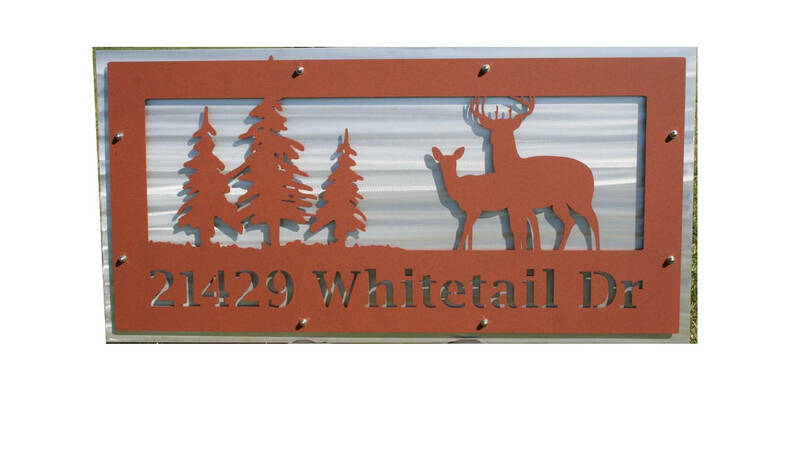 The tree and deer graphics will suit a lake cabin, but they look great in city limits too! 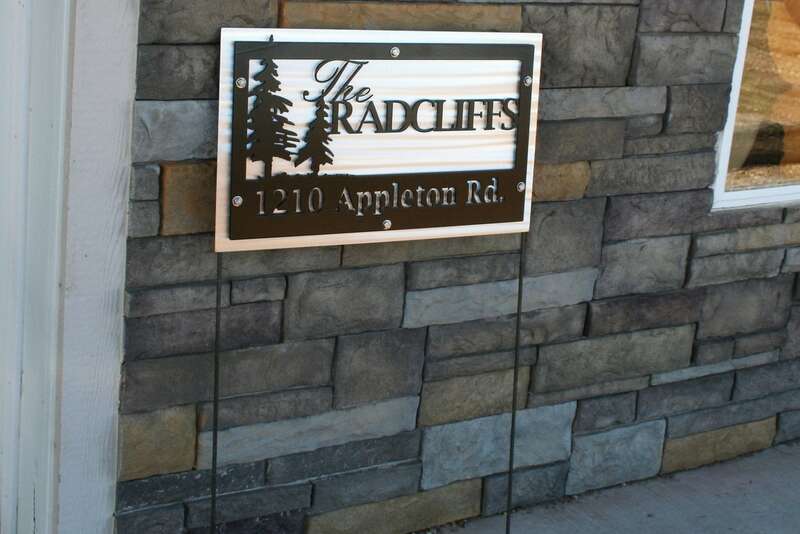 You choose if you would like a hanging sign or a sign with stakes. 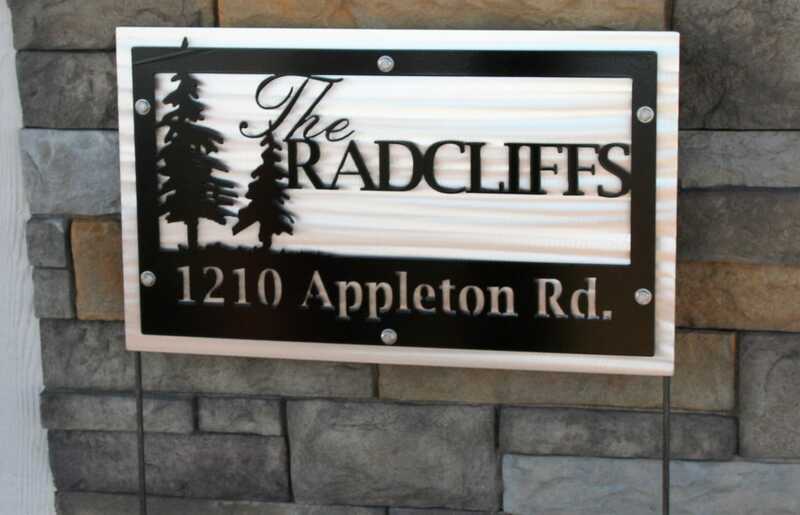 The face of the sign is 24x15" in size. The front plate is cut from steel about as thick as a nickel. 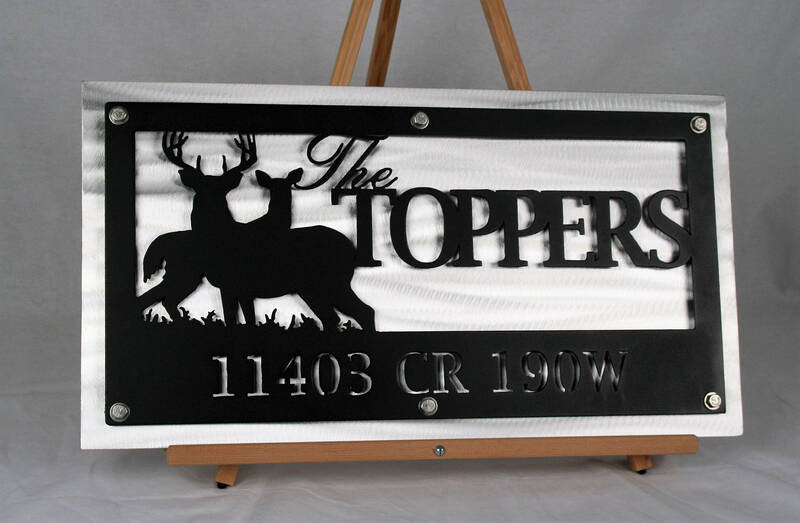 The shiny aluminum backing plate makes your sign very visible and easy to see -- even in the dark! Stakes are shipped as a separate piece that can easily be assembled in just a few minutes. Thank you for making this custom sign for one of my besties. I am presenting it tomorrow for her birthday. It is even better in person than in the photos. Superb materials. I love it and I know she will. 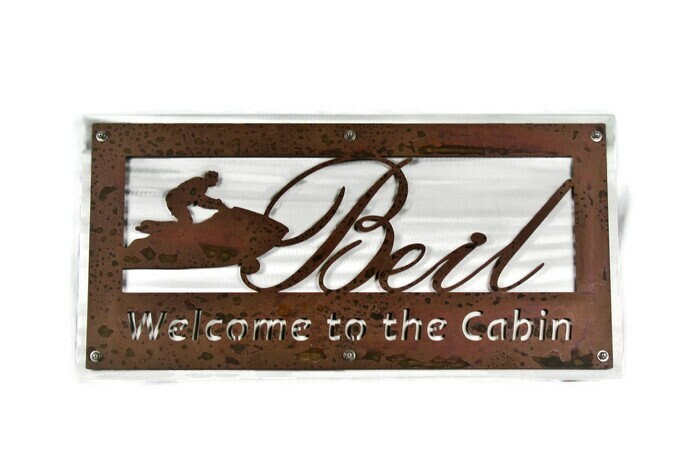 This will be the perfect addition to her very first home in the mountains. 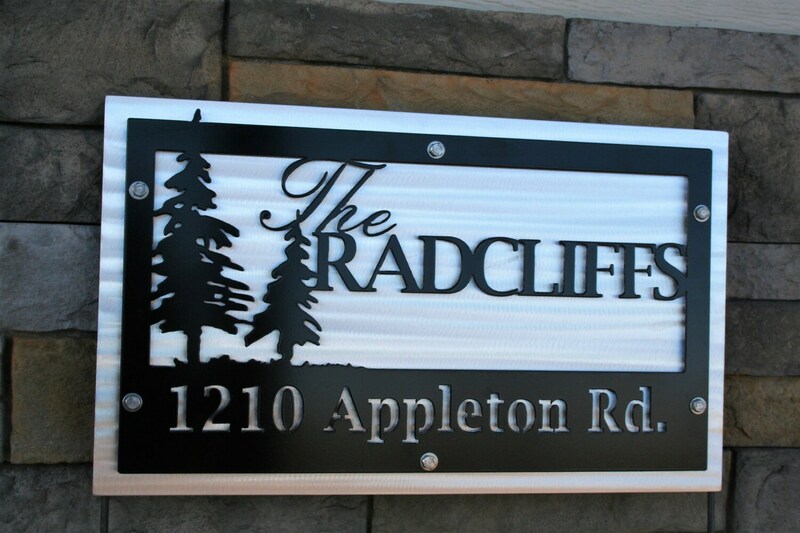 We love the address sign. 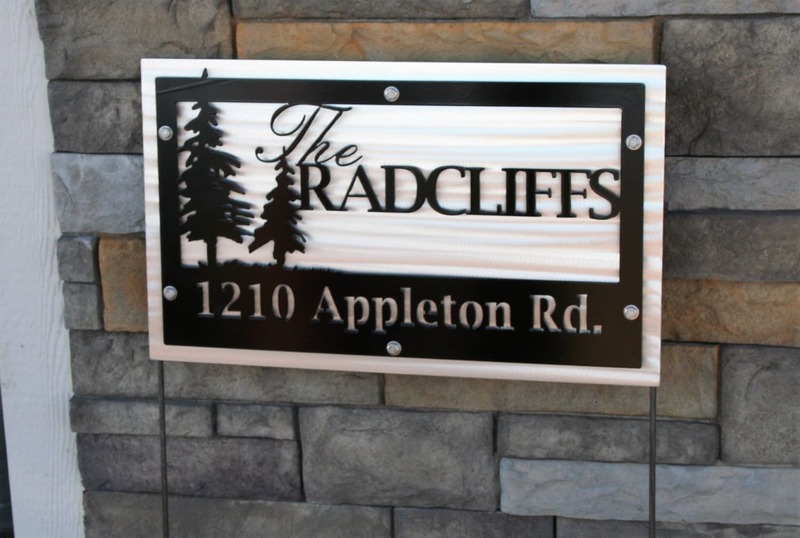 It was easy to work with Becky for the design and then the sign was made and shipped within days. Exactly as described with all the parts included. We could not be happier. Thank you!